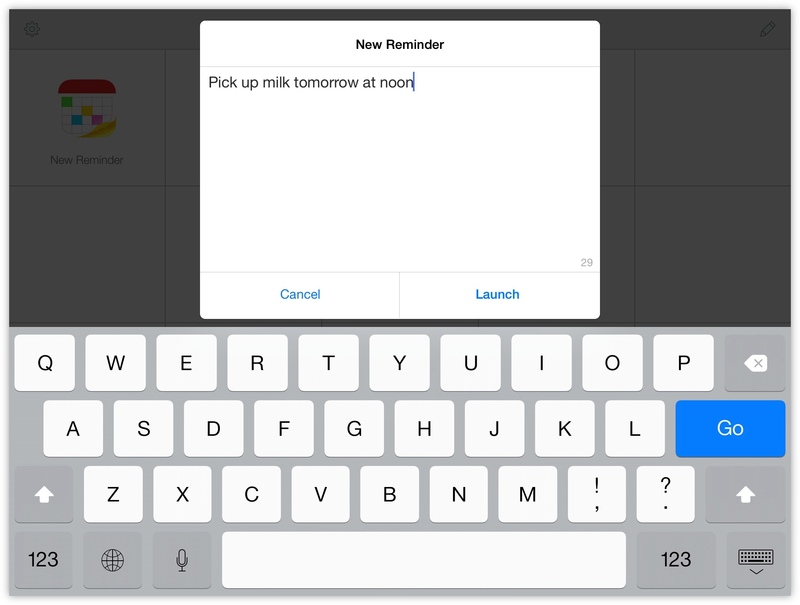 The natural language input of Fantastical for Mac and iOS has made the creation of reminders as simple as entering “Remind me to pick up milk tomorrow at noon”. If you make use of multiple lists then you can also choose which one to add a reminder to by including its name along with an additional modifier. Rather than doing this every time you want to add a reminder to a different, we can leverage the power of Fantastical’s URL scheme and Launch Center Pro and create some actions that will automatically add reminders into a list of our choosing, either selecting it from a list of options or dedicating an action to a specific one. The app’s highly intelligent natural language parser detects a wide variety of keywords and will change the entry type from an event to a reminder. 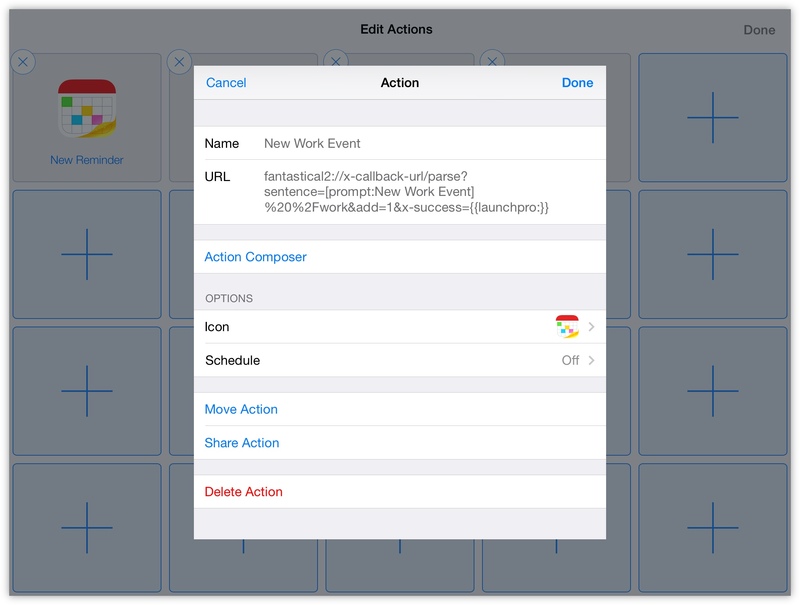 All of the Launch Center Pro actions within this guide can be added to Launch Center Pro for iPhone or iPad by tapping the Install Action button. Alternatively, you can create a new action and enter the provided URL scheme. 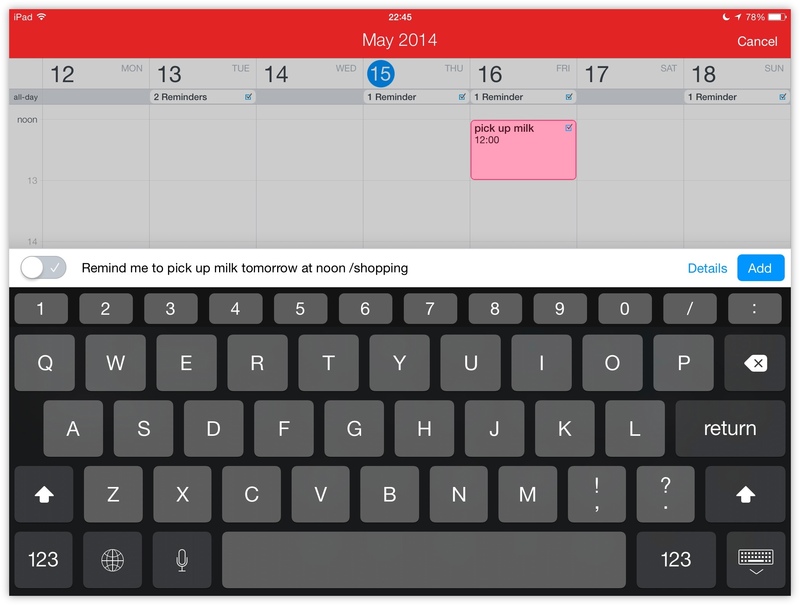 This action will display a prompt for you to enter your reminder and then pass it to Fantastical, which will then parse the text and create it before returning back to Launch Center Pro. 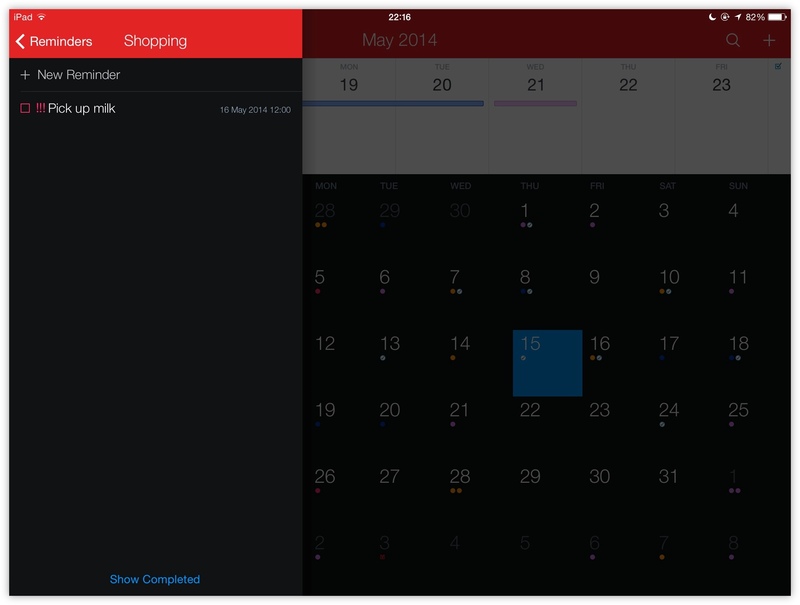 It’s quicker than launching Fantastical, tapping the + button and creating it from there. 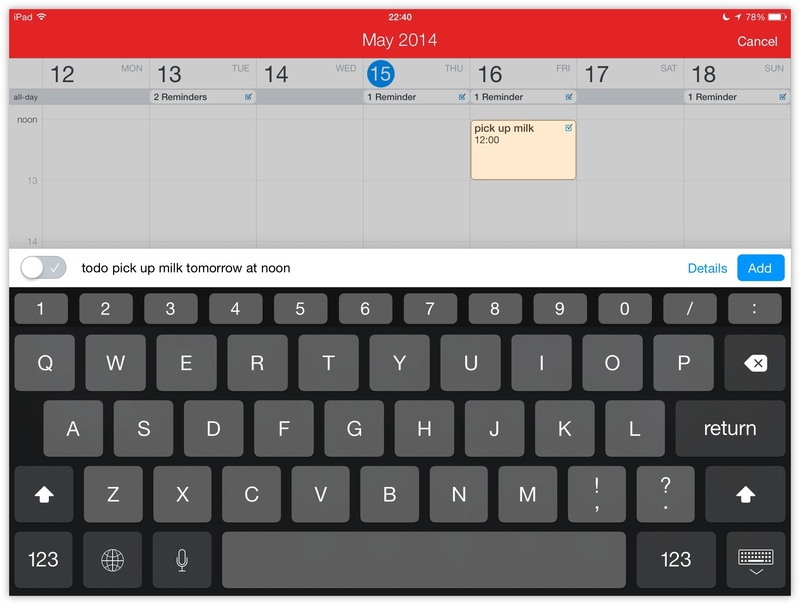 The last part, add=1, tells Fantastical to go ahead and add the reminder without prompting for confirmation. If you’d prefer to manually confirm that the reminder is correct before it’s created, remove this option. As I mentioned earlier, Fantastical can be told to use a specific reminders list. This is especially useful for me as I have a reminders list named “Shopping” that’s I regularly add reminders to for when I’m grocery shopping. You’ll notice that /shopping is written as %20%2Fshoppingsince it has been URL encoded. Decoded, this is a space and then/shopping`. To URL encode (or decode) text, here’s a great web tool by Eric Meyer. Using the above action as a template, you could create a number of actions that provide one-tap creation of reminders into specific lists. To make it easy to customise, just change the shopping part of the action to the name of your list after it’s installed. For list names containing spaces or characters, don’t forget to URL encode them first. 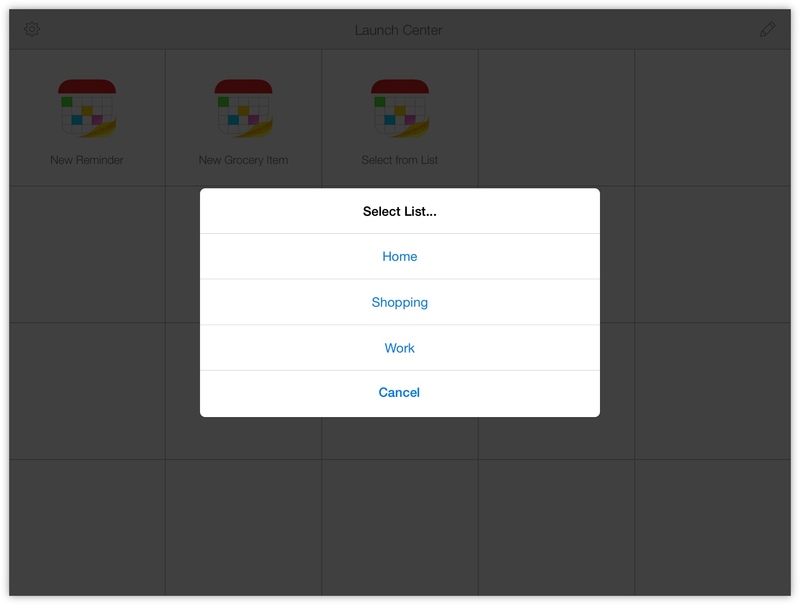 Using this action, Launch Center Pro will first ask you which list you want to add a new reminder to, then prompt for text entry. You’ll notice that this action places the list at the beginning of the entry for Fantastical to parse. This has been done simply for convenience so that we can select the list to use before entering the reminder’s text. The first part, just after list: is the title of the pop-up menu Launch Center Pro will display. After that, any list names you enter need to be separated by the | character. Both this action and the previous one have their own advantages and disadvantages. This action takes up just one slot, useful if you have a sizeable number of lists, though requires an additional tap to select which list to use. todo pick up milk tomorrow at noon ! todo pick up milk tomorrow at noon !! todo pick up milk tomorrow at noon !!! This Launch Center Pro pop-up menu will add the relevant number of exclamation marks depending on the priority selected. Everything we’ve covered in this guide can also be applied to new calendar events. For anyone regularly creating new events and meetings in different calendars, the above actions can used by simply removing the reminders=1 option. Without this, Fantastical will use its default behaviour and only create a reminder if there are any keywords to suggest this (again, things like todo or task) or the entry starts “Reminder me to…”. 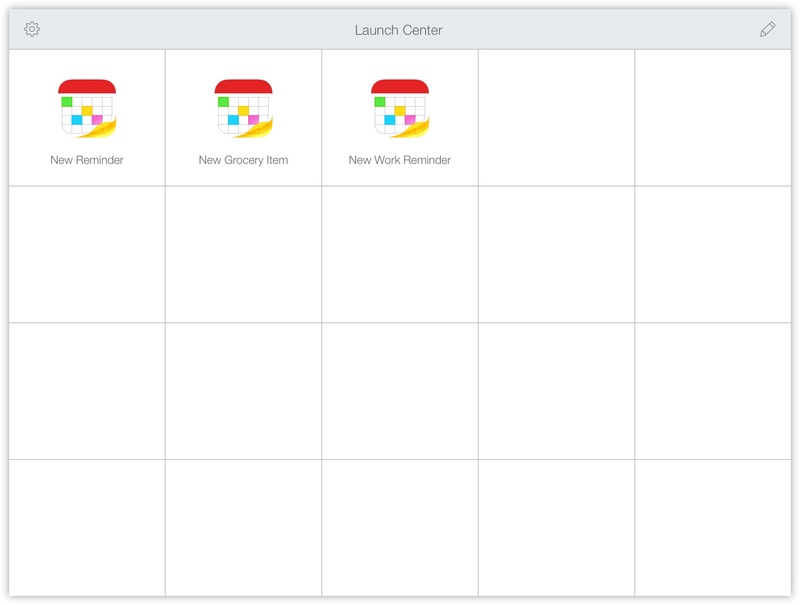 Using just a few basic actions within Launch Center Pro that make use of Fantastical’s flexible and intelligent natural language parser, you can quickly add reminders to any list that you might have, without needing to type it every time. If you’re often moving reminders between lists, or have given up on organising them because you don’t always remember to select the correct one, this might be a great way to become better organised. 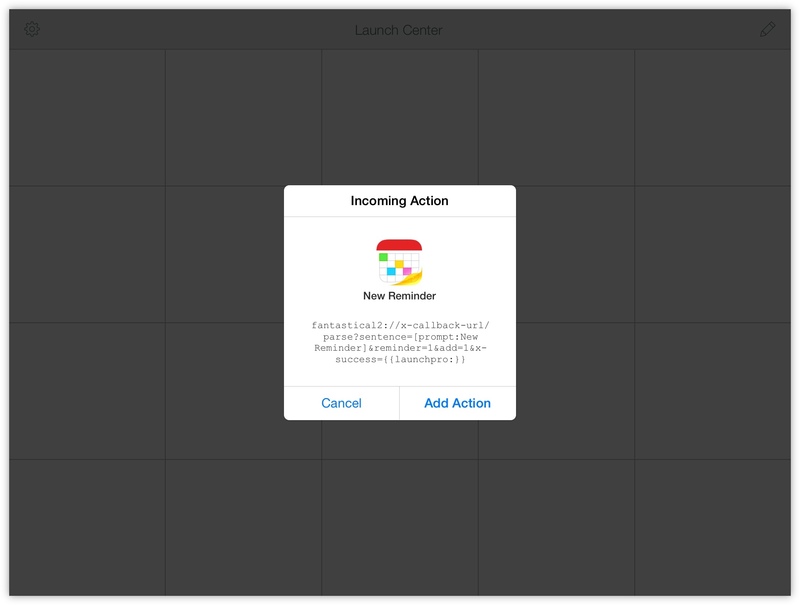 To learn more about how to leverage the power of Launch Center Pro and understand its syntax, I highly recommend you read the in-depth guide Automating iOS: A Comprehensive Guide to Launch Center Pro by Alex Guyot over at MacStories. It’s a fantastic primer as well as reference that I find myself going back to time and again.